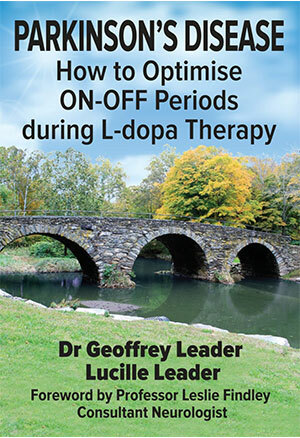 Epoch-making book for people with Parkinson’s on L-dopa Therapy. It empowers both patients and clinicians in the quest for personalised medicine to effectively bridge ‘ON-OFF’ periods. How To Optimize General Function A "Must" for Patients and Caregivers! 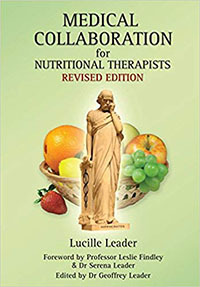 Groundbreaking Essential Book for Nutrition Practitioners illustrating how to establish collaboration with patients GPs. Includes chapters by a GP and medical consultants. Specialised, scientifically referenced nutrition and timing of dopaminergic drugs, optimises response. Bowel function, sleep, dysphagia, stress effects and recommendations are presented. This multi-author book demonstrates the ideal of multi-disciplinary support and management to optimise functional health in Parkinson’s disease. Soothing, Professional Relaxation Technique by a Psychotherapist for Patients and Caregivers. This is a CD Recording! Intriguing little book of delightful short stories with surprise endings. Super dinner table vignettes! (hands, wrist, arms, back, legs, and ankles) for pianists to achieve optimum physical flexibility. Inspiring, true story of successful bone cancer surgery and therapy and a career in the air! 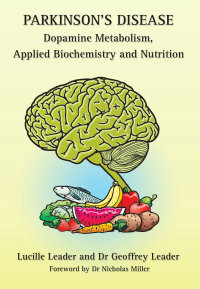 Parkinson's Disease - The New Nutritional Handbook has been replaced by another updated book, (see below) . The information in it was representative of the 1990’s. The authors and publishers do not take responsibility in any way for the outdated information contained in any old editions which may be in circulation and out of their control. "The beneficial effects on symptoms ......were nothing short of stunning!" 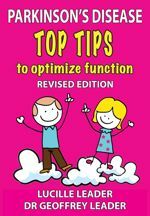 on How to Optimize Function! 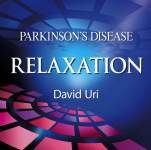 "A MUST for people with Parkinson's at all stages!" "Each person deserves to function as best as he or she is able"
"It is an indispensable tool to help you to help yourself"
"His melodic voice and presentation quickly calms my mind and soothes my tremors"
"A super help for both doctors and healthcare professionals, patients and carers"
"It is apparent that there are significant nutritional considerations in the management of Parkinson's Disease." "Perfectly pitched and very inspiring. There has never been a greater need for this book." "So intriguing that you won't want to put it down!" "A story of hope... a trip that will leave you drained but lifted"